Nifty opened weak just below 5900 level, but saw the buyers taking control only to be sold from the highs to the low of the day around 5885. The pattern continued again but the index ultimately closed flat at 5907.30, a miniscule loss of 2.40 points. On a week on week basis the index gained 74.10 points or approx 1.27%. The broader market was just weak, with 639 advances to 671 declines. Strong resistance is being built around 6100 level. 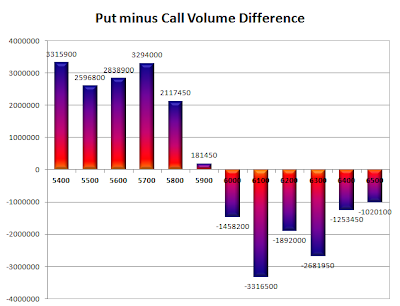 Call option 5900-6400 added 13.52 lacs huge amount of OI with short covering seen at 5800 and below strike prices. 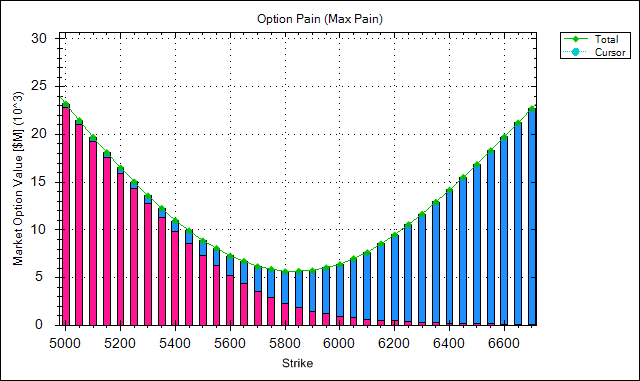 Put option 6100-5400 added 6.63 lacs huge amount of OI with small profit booking seen at 5700 strike price. 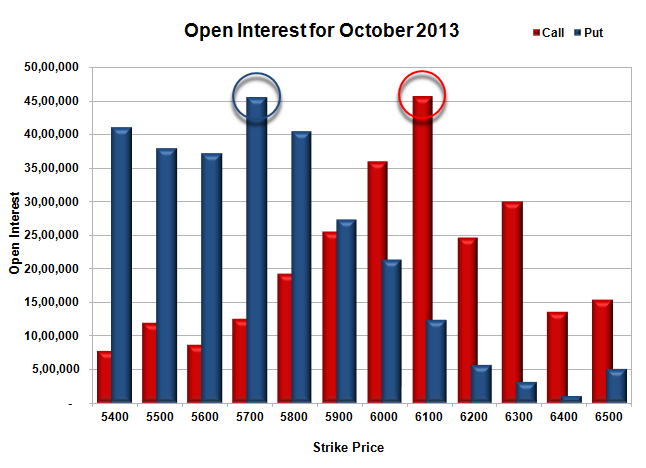 Nifty Open Interest is at 1,74,41,600 up by 98,550, with no change in price, most probably huge long build-up. 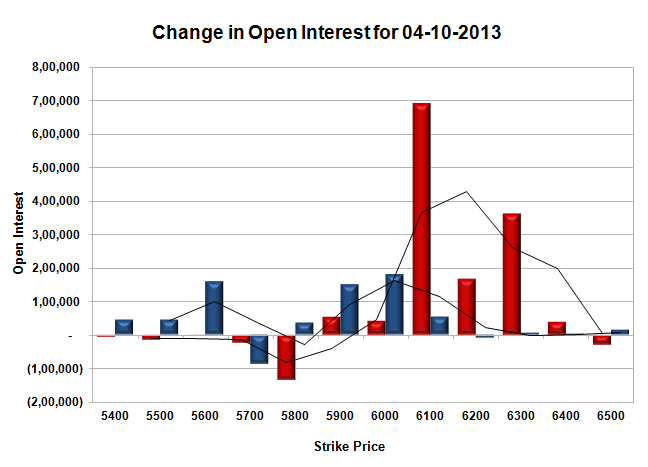 Bank Nifty Open Interest is at 19,28,875 up by 35,775, with small decrease in price, most probably some short build-up. FII’s bought huge 5.28 lacs Futures, mostly long build-up, as their net OI increased by 11898 contracts (includes 63233 longs and 52669 shorts) and the average price per contract comes to around 5831.30. FII’s future open contract as on date is 433359. PCR Open Interest (Volume) is at 1.307. 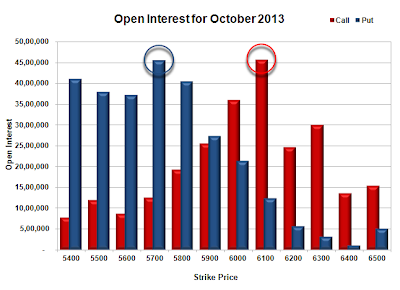 Initial support still at 5900, with huge addition for the day of 1.49 lacs, below that at 5800, with OI of 40.48 lacs. Initial resistance at 6000, with OI of 36.01 lacs, above that at 6100 with highest OI of 45.61 lacs. 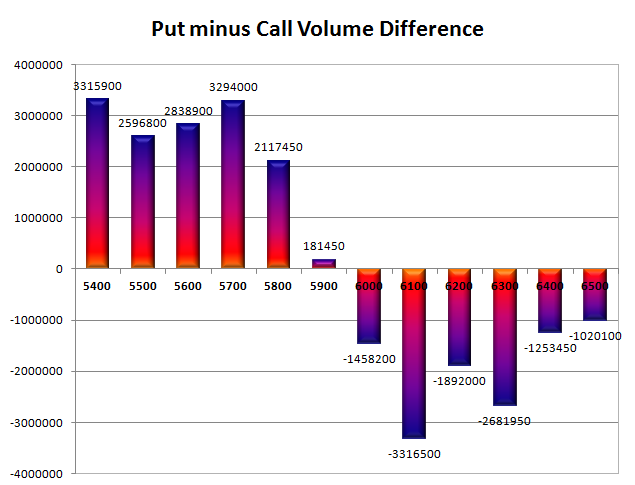 Day Range as per Option Table is 5833 - 5991 and as per VIX is 5827 - 5988 with 5914 as the Pivot.